This Saturday, August 2, 2014, we'll be part of Concerts for a Cause! 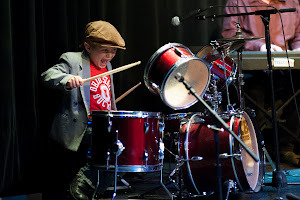 Fun in Kyle, Texas is presenting this concert series to fundraise for local non-profits. 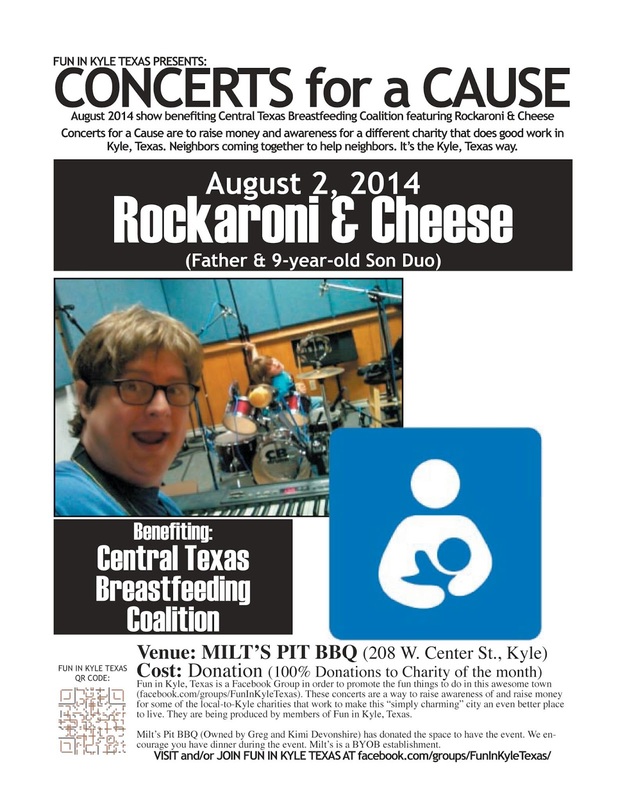 Our 5:30-8:00pm show will benefit Central Texas Breastfeeding Coalition. Admission is by donation at Milt’s Pit BBQ, 208 W. Center Street in Kyle. Fancy Fig Photography is providing a photo booth and Grammy's Tasty Treats will donate 20% of proceeds to CTBC. We're proud to support this great non-profit! We hope to see you there! And bring your friends and family!